Boilerplate in the Boiler Room Bar? 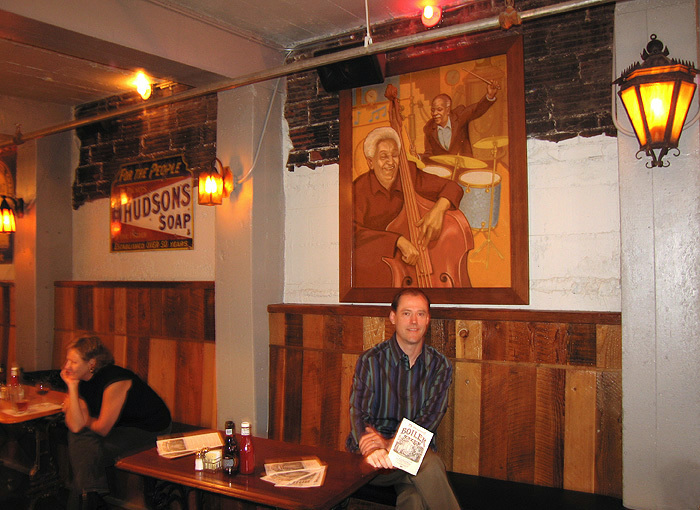 Paul sits beneath his painting on permanent display in the Boiler Room Bar. The Boiler Room Bar is at McMenamins' Kennedy School complex. 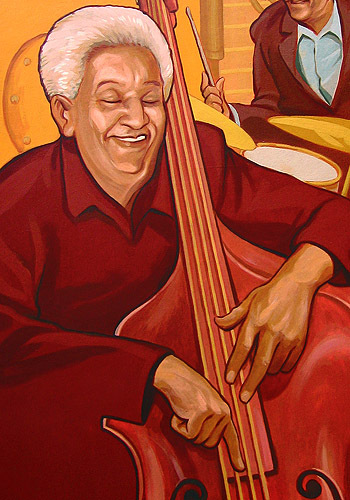 The painting is is located on the third level of the bar, next to the pool table. 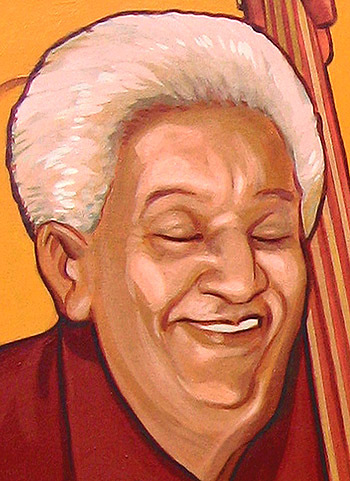 The painting measures 38" x 48" and is executed in acrylic. 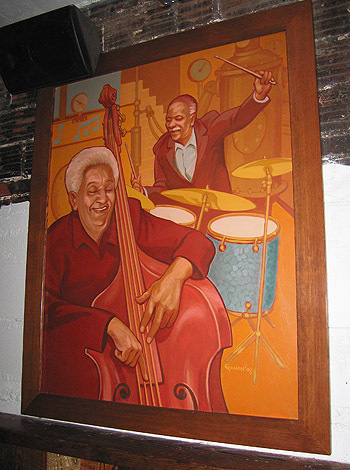 It depicts Northwest jazz musicians who played at McMenamins: bass player Leroy Vinnegar and drummer Mel Brown. In the background is the boiler room of the Kennedy School before being refurbished into a brew pub/restaurant. Is that Boilerplate behind Mel...?